Spoon and Fork Set. 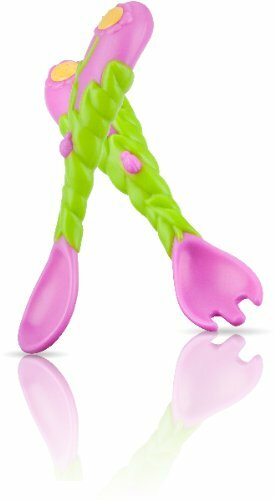 Easy Grip design makes fork and spoon easy for little hands to hold. These Nuby spoon and fork set for your baby are well designed. Case Pack 48 Please note: If there is a color/size/type option, the option closest to the image will be shipped (Or you may receive a random color/size/type).